As impressive as Google’s Daydream VR platform appears, not everyone jumped out of their chairs in excitement when it was announced. It does, after all, appear to be a variation of that other Smartphone-powered system: the Samsung Gear VR. While the Gear VR is good - certainly the best device of its kind available right now - its games aren’t exactly what you’d call outstanding. But it looks as if Google is trying to outdo Samsung in this department by focusing on Daydream's gaming capabilities; the company mentioned that Electronic Arts and Ubisoft were both developing projects for its platform, and now Epic Games has announced that the system will support Unreal Engine 4. Compatibility with Epic's suite of game development tools, which also work with the Gear VR, means it will be easier for developers to port existing apps and games to Daydream. It should also result in plenty of high-quality VR titles arriving quickly on the platform, which Google hopes will make mobile VR an appealing prospect to gamers unsure about forking out $600 - $800 for an Oculus Rift or HTC Vive. Epic created the Unreal Engine 4 plugin with the help of developer Hardsuit Labs. 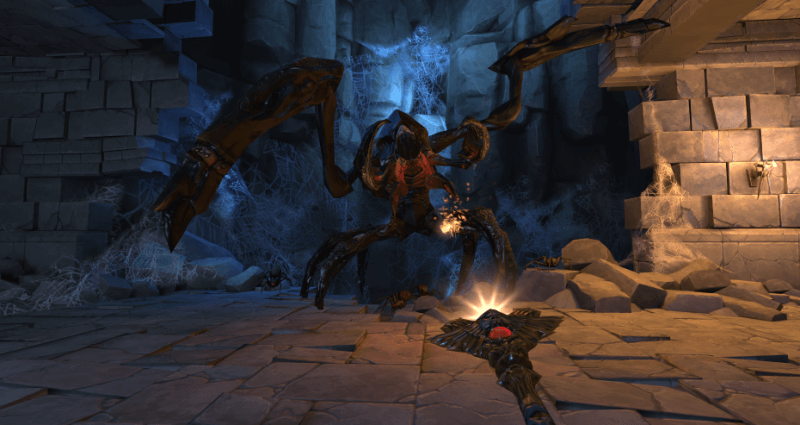 To show off some of what it’s already created, and demonstrate the motion controller that all Daydream games will require, Epic unveiled a dungeon crawler currently called, appropriately, Dungeon. "We're making Dungeon a tech demo like we did with Showdown and Bullet Train to kind of feel out the platform, figure out how far we can push the visuals and kind of experiment using the motion controller," said Epic's VR and augmented reality technical director Nick Whiting. The new Daydream headset is due to arrive this September while Daydream-ready phones will be here this fall.